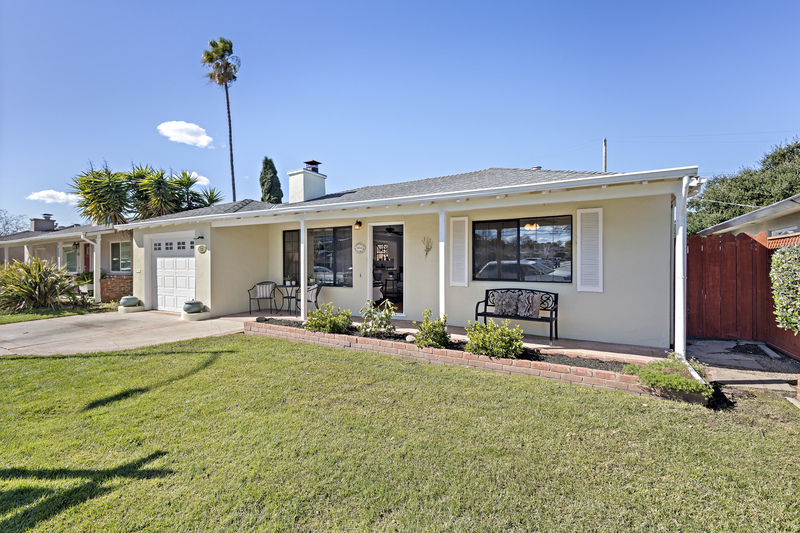 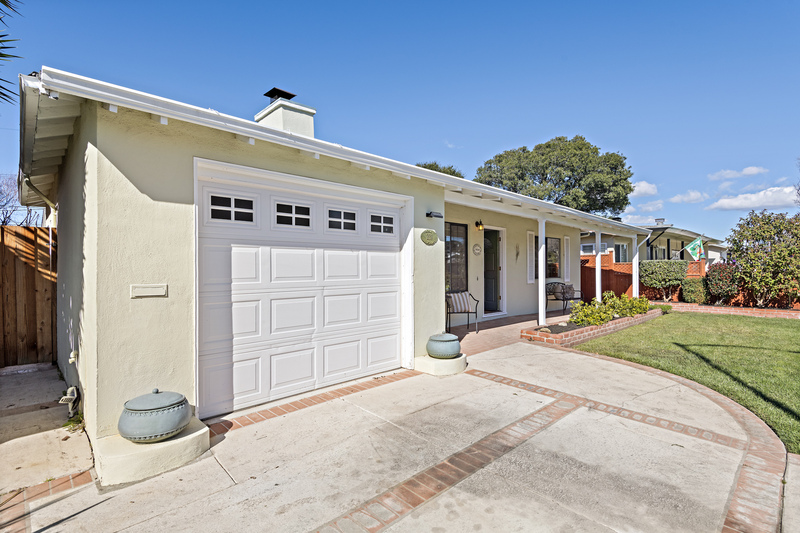 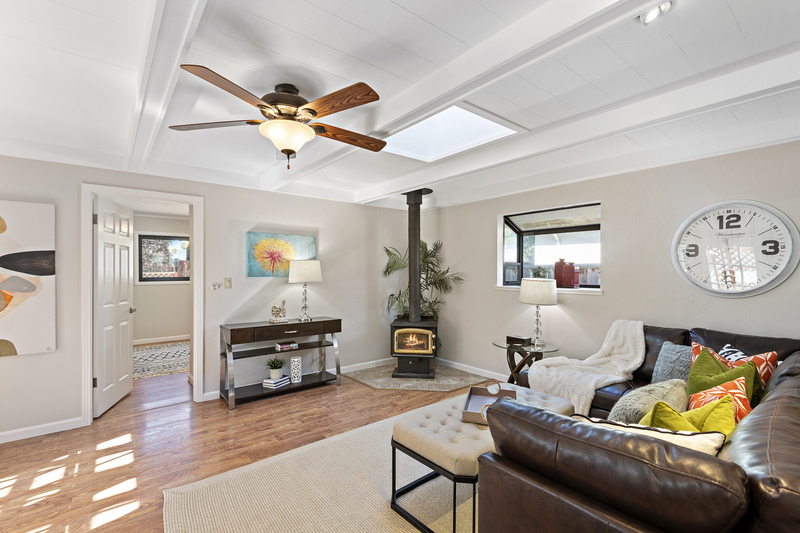 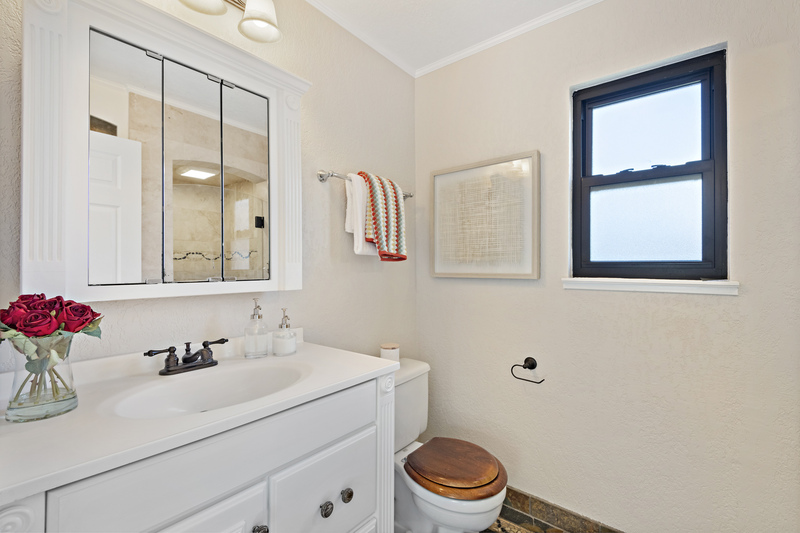 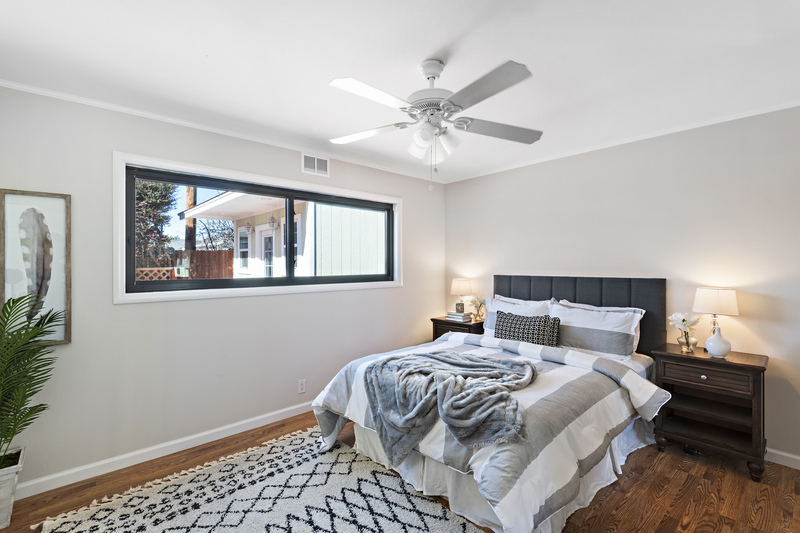 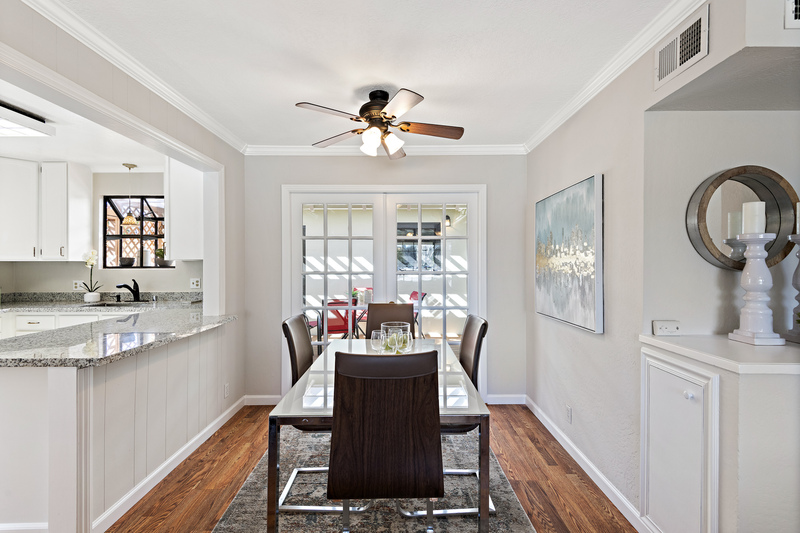 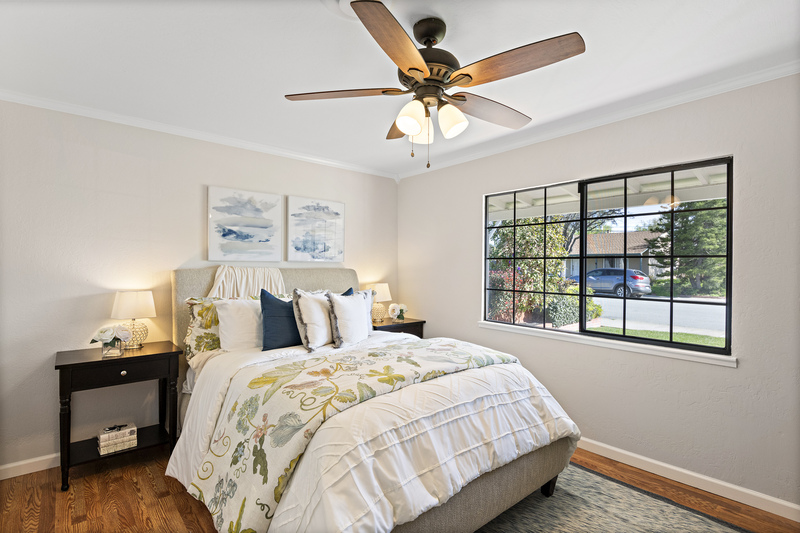 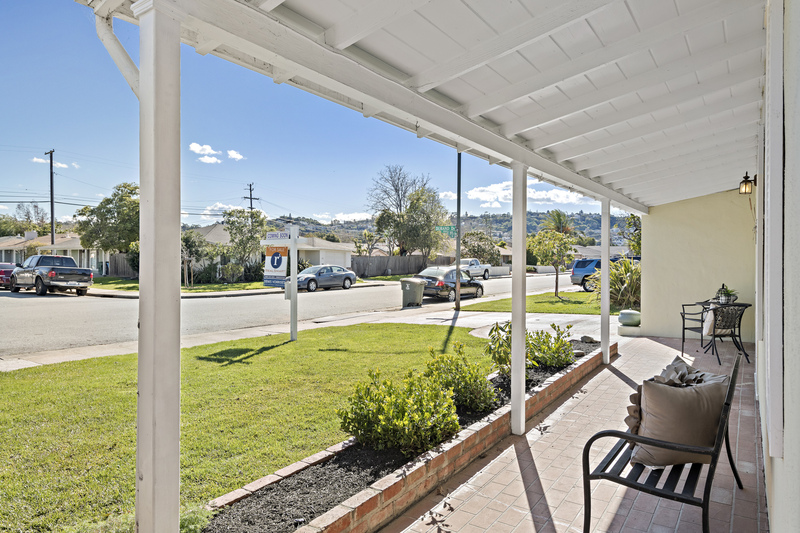 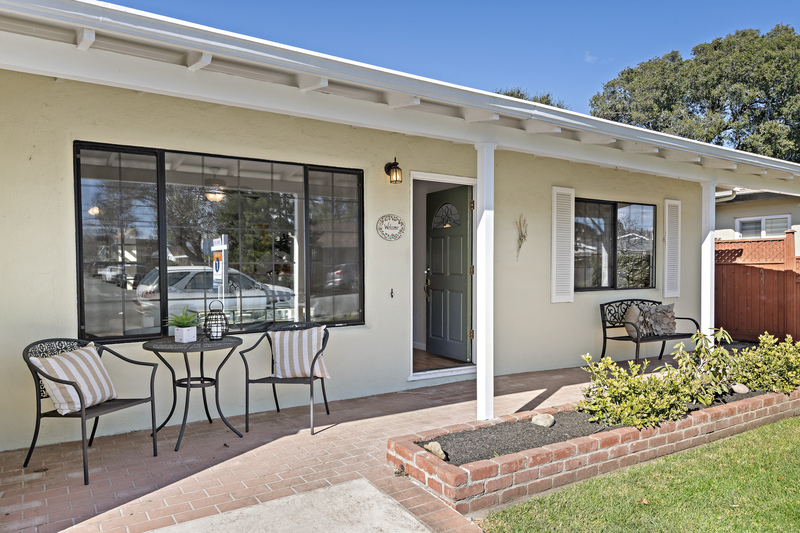 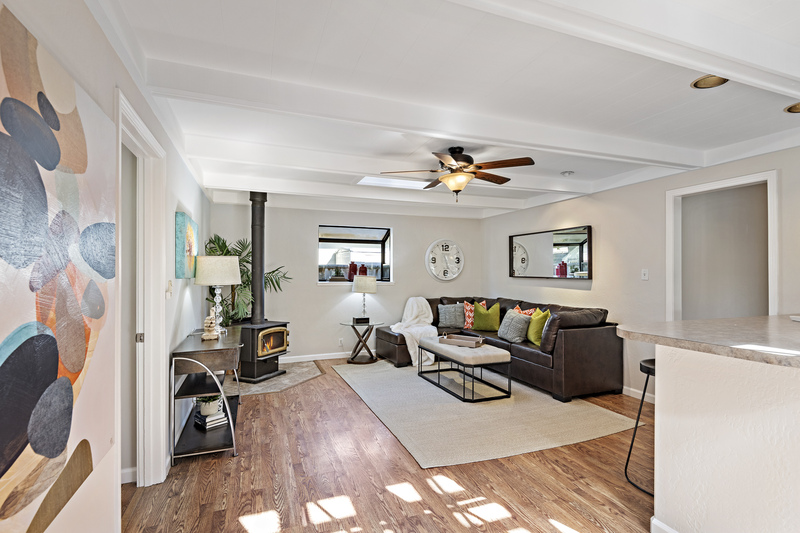 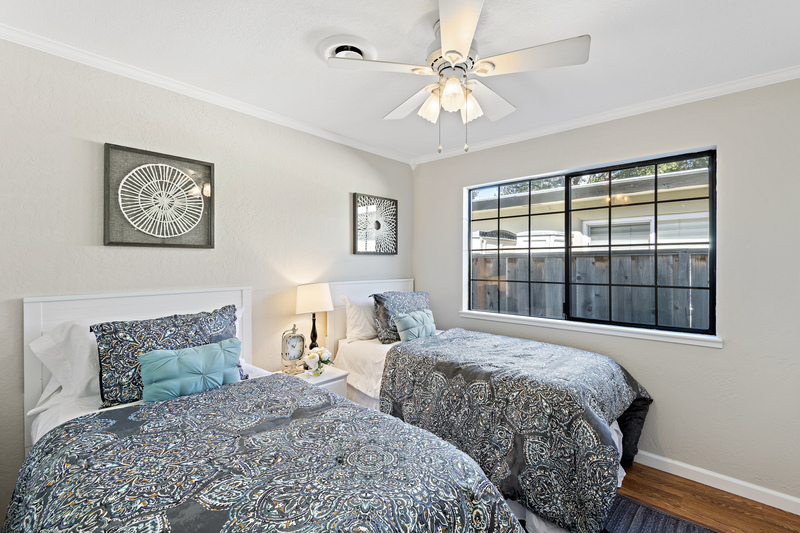 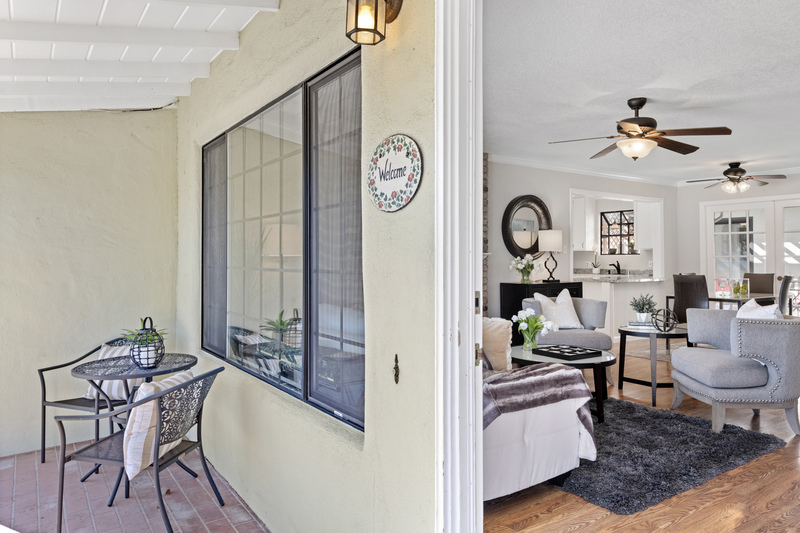 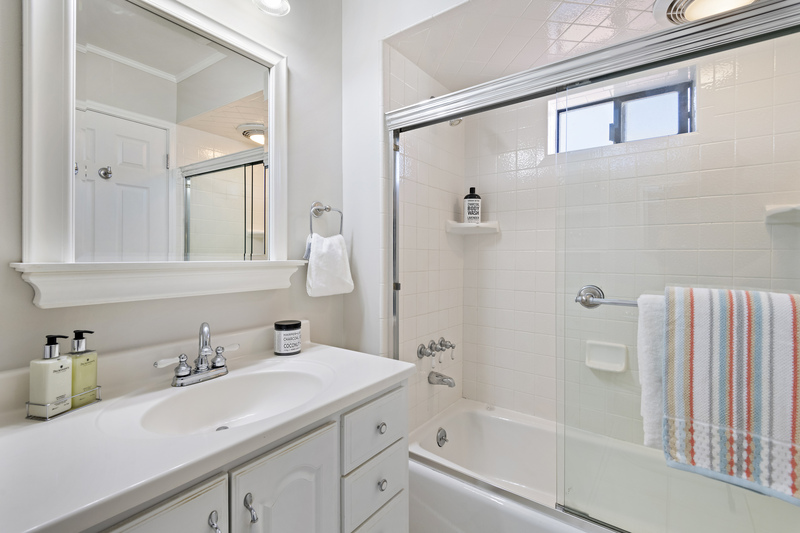 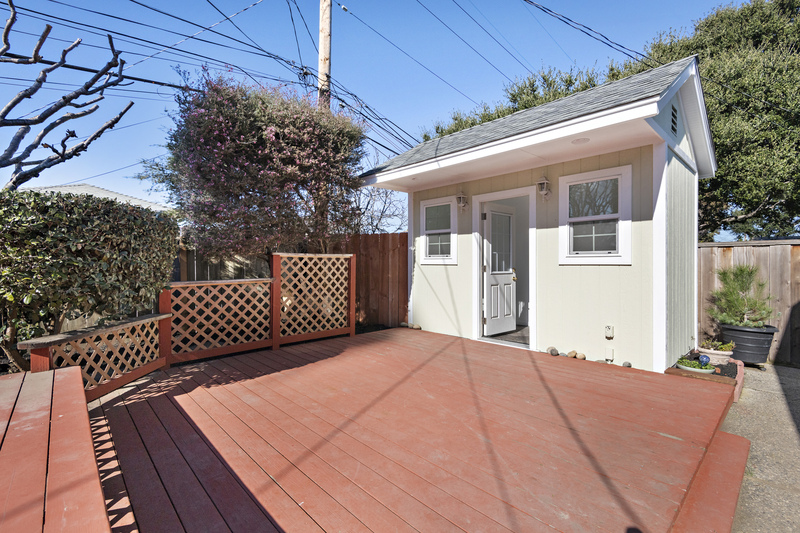 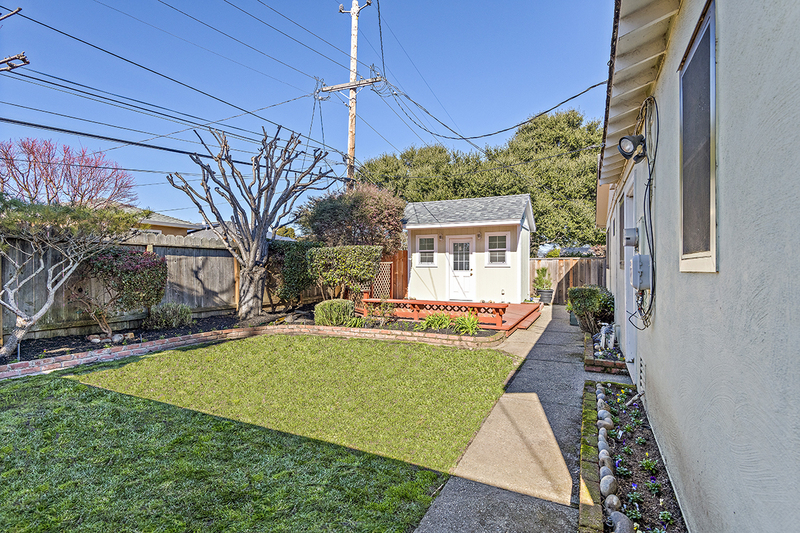 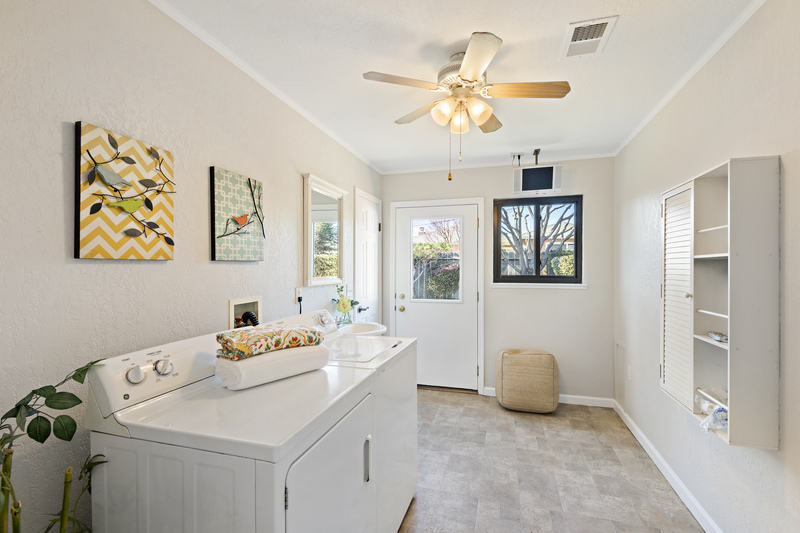 Spacious 4 bedroom, 3 bathroom home in the San Mateo Village neighborhood, conveniently located within walking distance of Caltrain, the Hillsdale Shopping Center, the Bay Meadows business park and numerous shopping/dining options along El Camino. 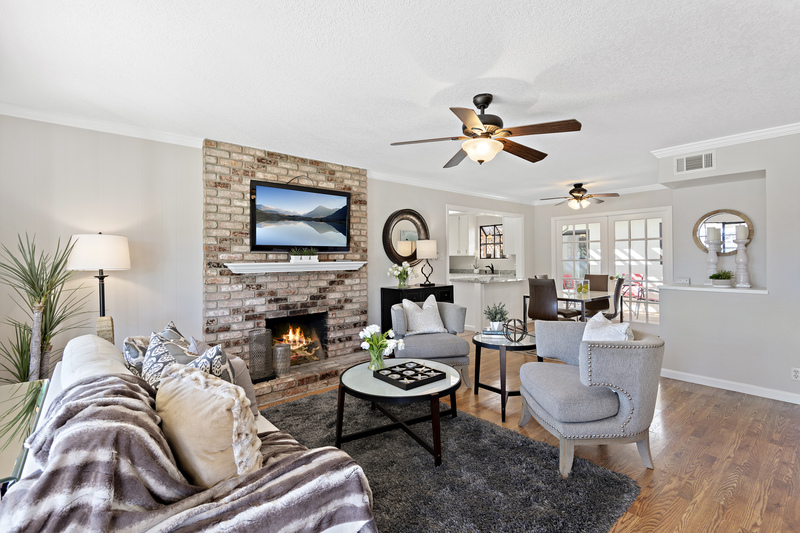 A bright open living space connects the living room, dining room and kitchen, with a beautiful wood-burning brick fireplace bringing warmth into the home. 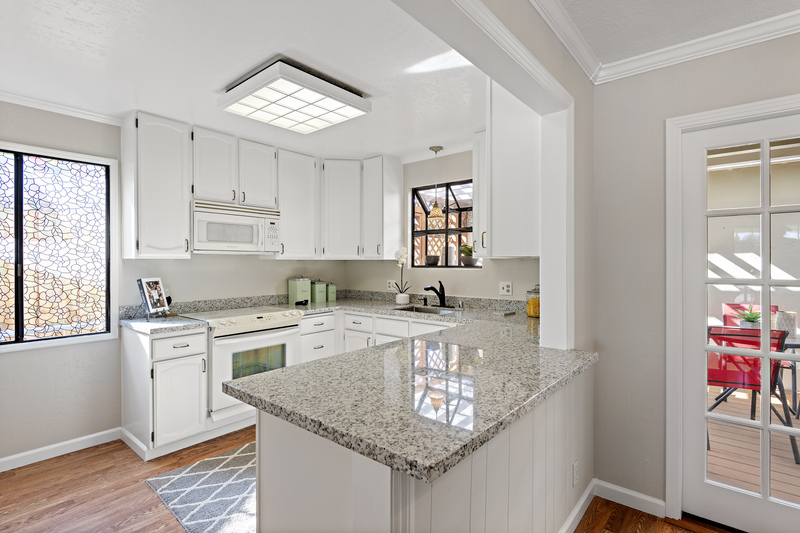 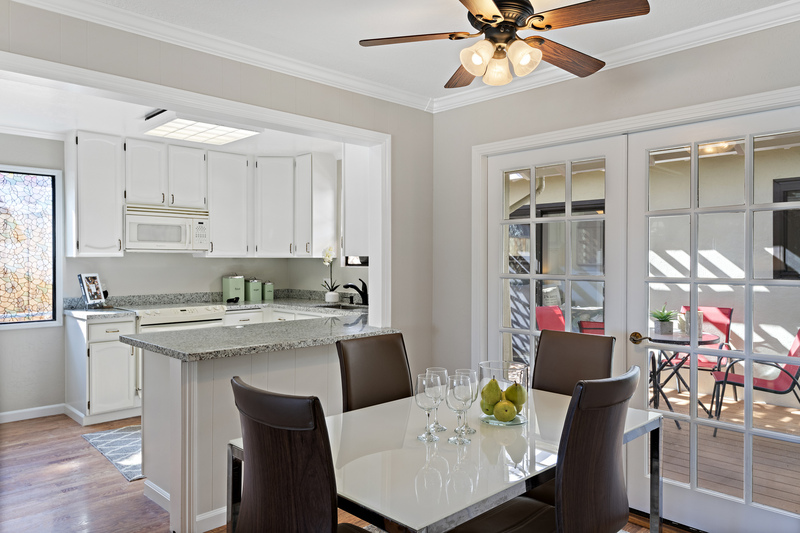 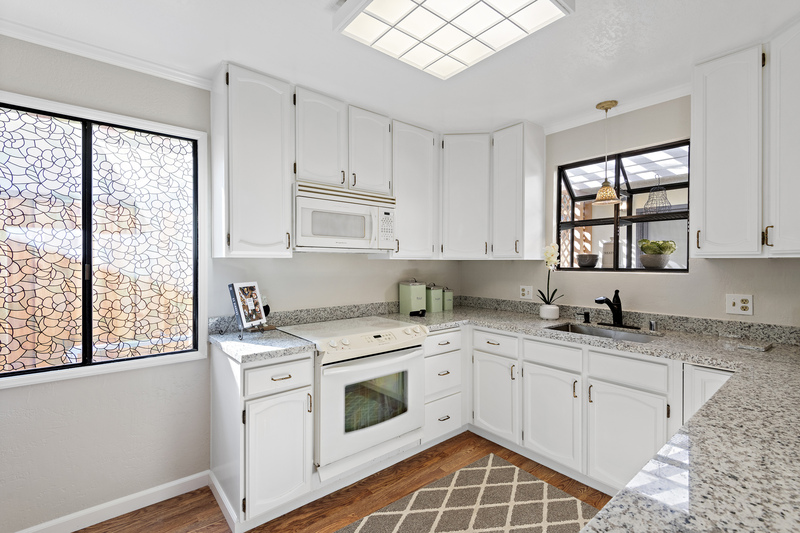 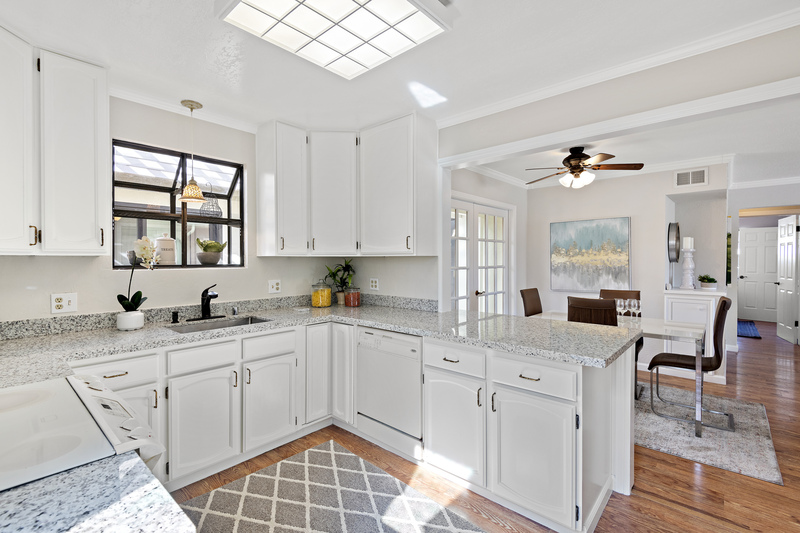 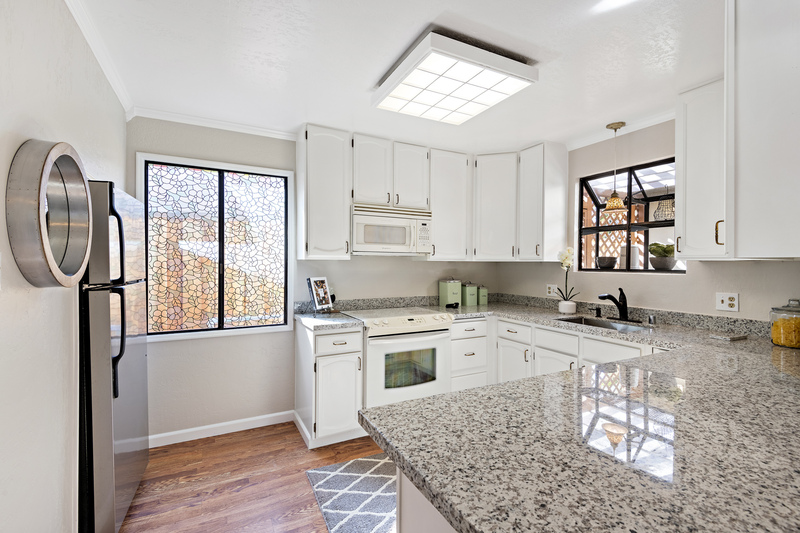 The kitchen features brand new pristine granite countertops including peninsula bar top, ample cabinet space, and a garden window above the sink perfect for a couple potted herb plants. 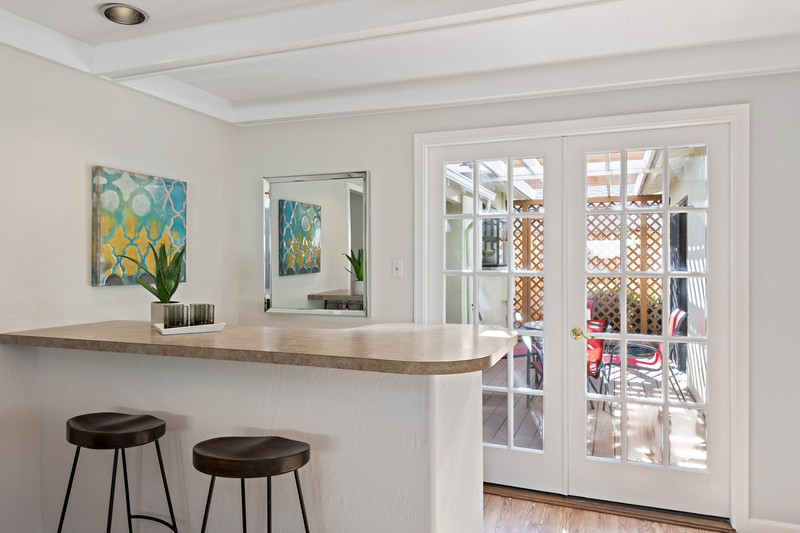 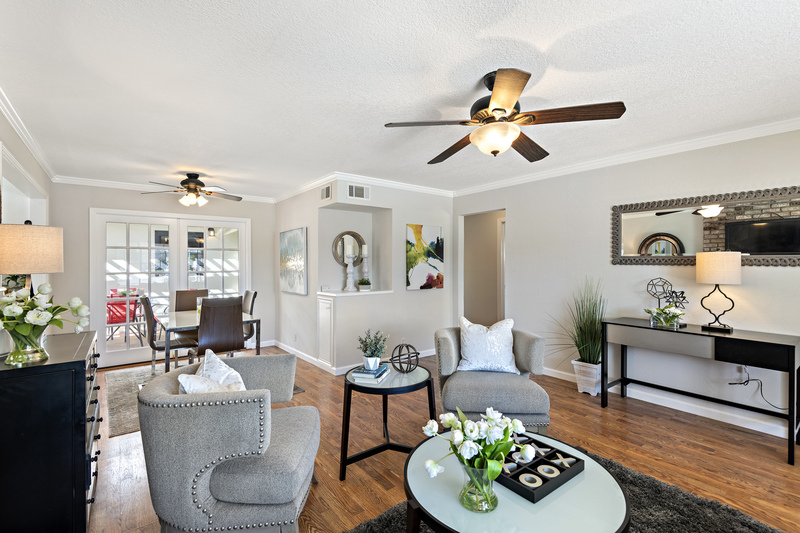 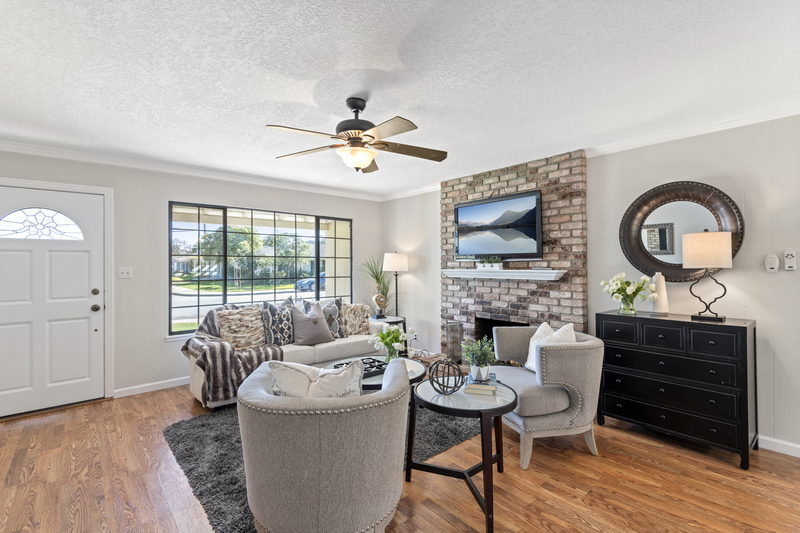 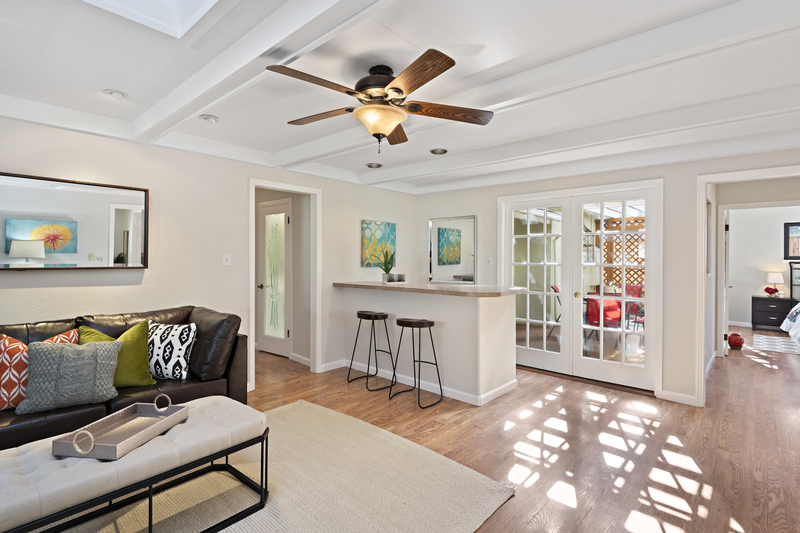 The family room offers the ultimate place to unwind, complete with a wet bar, wood burning stove and French doors leading out to a lovely shaded patio area. 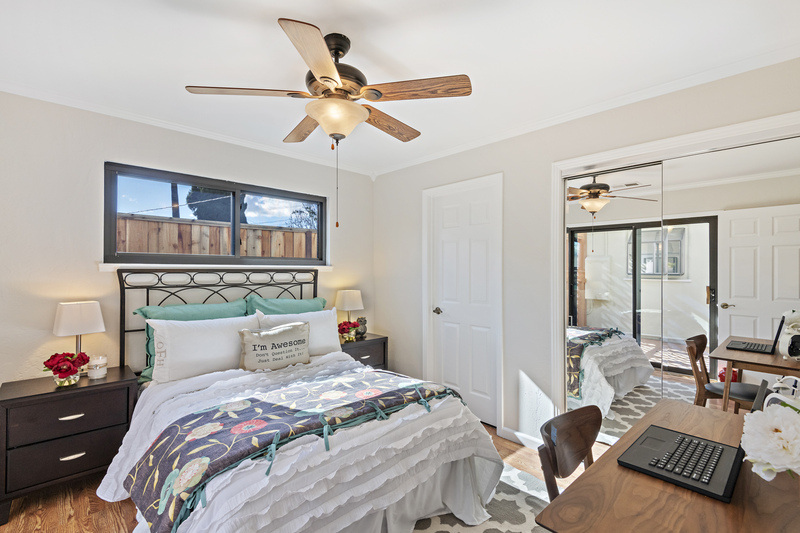 The 4 generously sized bedrooms include 2 ensuites – a master and a guest – providing the flexibility to easily accommodate visiting friends and family. 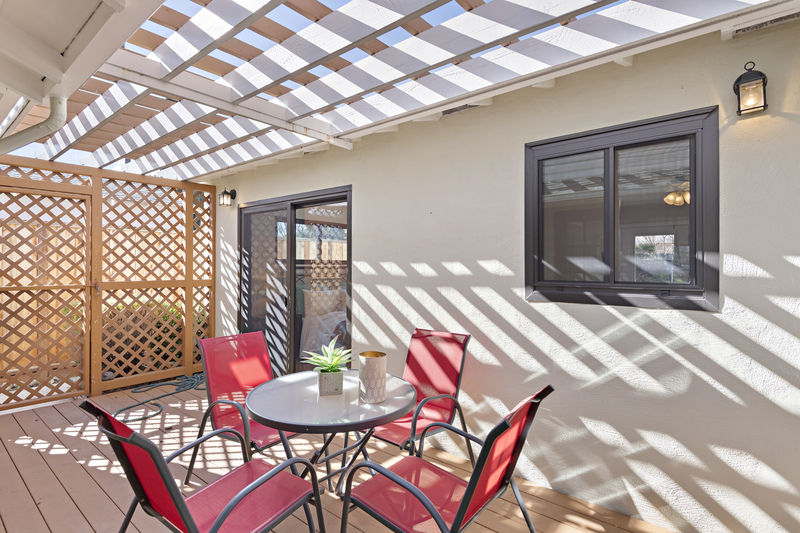 Outside, the backyard features a deck/patio area perfect for BBQ’ing on warm summer days, as well as a fresh new lawn and a brick planter box running along the back fence, perfect for doing some home gardening.